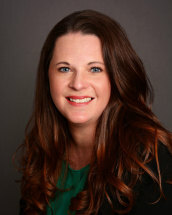 Christina M. Fulton, Esquire, joined Musulin Law Firm, LLC in 2009, and immediately became an integral part of the firm as an Associate Attorney. She is what one would term a "dual professional," having both a Juris Doctor and a Bachelor of Arts in English and Secondary Education. Ms. Fulton is admitted to the bars of the State of New Jersey, Commonwealth of Pennsylvania and the US District Court for the District of New Jersey. Upon graduating from law school, rather than going straight into private practice, she did a postdoctoral year as a Judicial Law Clerk to the Honorable Susan L. Claypoole, J.S.C. in the Family Division of the Burlington County Superior Court. This experience not only provided her with practical knowledge about the workings of the family court but also the opportunity to view family matters from the perspective of the judges who adjudicate them. Ms. Fulton received her Juris Doctor from the Rutgers University School of Law in Camden, New Jersey, and while there, ranked in the top 6% of competitors in the Hunter Moot Court competition. She also excelled academically, receiving academic honors for 2005-2006 and 2007-2008. In practice, she serves as a Panelist for the MESP Program in Burlington County, and is a member of the Burlington County Bar Association, New Jersey State Bar Association, and the American Bar Association. At the local level, she participates in the Burlington County Bench/Bar Committee, working together with attorneys, judges and court staff to improve the Court system. Christina Fulton has also been appointed by the Supreme Court of New Jersey as a member of the District IIIb Ethics Committee since 2017. Before acquiring her Juris Doctor, Ms. Fulton worked as a full-time English teacher for Eastern Camden County Regional School District. As a teacher, she was exposed to the psychology of teenagers and learned a great deal about American families and parenting. Always striving for excellence, she created a character education course for high school students based on The Seven Habits of Highly Effective People by Stephen R. Covey. This course went on to win an award for Best Practices in Education from the State of New Jersey. Ms. Fulton uses the knowledge and perspective she gained as a teacher in her law practice. Her teaching background, coupled with her degrees in law and English, enhance Ms. Fulton’s abilities to write and argue persuasively before the Court, as well as to interact with people on a personal level. She has a history of involvement in service activities, including acting as an advisor for Key Club International and participating in the Kiwanis Service Leadership Program. This dedication to helping others led her to participate in a study tour in South Africa to address issues plaguing education. Ms. Fulton was born and raised in South Jersey, and lives in Camden County with two children.